I am sick to my stomach right now. The radio and music industry lost a good one last night. Bobby Gale, the legend, a friend of thousands and a personal friend for 45 years was killed last night on the highway back from a concert in Montreal. He was devoted to music right to the end. I have spoken with his Mom who understandably is crushed. We are going to help her in any way we can and she has asked me to communicate this terrible turn of events so feel free to share. She is a very proud mom and knows what deep footprints Bobby had in the radio and music industry and the remarkable impact he had in both industries. He was a passionate champion of music and many artists domestically and internationally have benefited from his management, friendship and guidance. In the last few years Bobby among all the things he had on the go, he returned to his radio roots on County-FM in Prince Edward County where as a great volunteer he performed his very popular and unique ‘Sunday Glide’ show. We are forever grateful Bobby for all thar you have done for all of us. Bobby’s mom tells me there will be no funeral or celebration of life, and that Bobby’s ashes will be buried in the family plot around Windsor where he grew up. Please take a moment to post your feelings and I will make sure she sees all the messages. I’m so incredibly saddened to hear about Bobby. My band, Madison Violet worked with Bobby on our first record, 18 years ago and we got to know him quite well driving from city to city promoting our single. RIP Bobby.. you were one of the good ones. Truly a sad day. I’ve known Bobby since he walked into the music library at CJBK in 1981 when I was just a radio pup. This was a guy who just loved the music business and everything about it. He was a passionate advocate for his artists and worked hard to help them succeed. He was also a great friend of Radio having started his career there. I remember seeing Roxy Music play in Edmonton 18 months ago and texting Bobby a pic of Bryan Ferry singing “In Every Dream Home a Heartache”during the show. He was a life-long, MEGA fan of all things Bryan Ferry. He texted back a giant smile and said he wished he was there. I wish you were too my friend. We will miss you much. I’ve known Bobby for Decades. He was the biggest Roxy Music fan I have ever known. He took my place at Q-107 in 1979; when I left to go into Television. He managed Andy Kim for a period of time; when Andy was going under the name of Baron Longfellow. He just loved music. He will be missed. RIP Bobby. The man who always had a smile. Bobby was one of the first people to befriend me when I moved to Toronto as a know-nothing kid 20-odd years ago and has remained a friend ever since and I don’t want to believe he’s gone like this. He was such an honest, invested music fan — almost every week he’d message me about a band I’d completely neglected or never heard of that he was driving into Toronto to see — but also soooo good at playing the part of the consummate music-biz smoothie that I was often in awe. I know he uprooted a lot to be there for his mom these last few months so I want her to have all the hugs that I don’t save for Bobby when I next see him somewhere in the outer realms. Love you, bud. 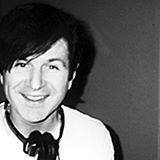 Tragic news about Bobby Gale, and my condolences to his family and his community in music and radio. Bobby started at Polygram the same year I was installed as PD at CHEX in Peterborough – and our paths have crossed numerous times over the years. I will always remember Bobby as a passionate advocate for music (and the industry as a whole), and an absolutely fierce defender and promoter for his clients. He would go to the wall for someone he was repping – as it should be…but he took it to the ‘nth’ degree. Looking back, I remember quite fondly some animated debates we had about an artist or a song – Bobby, looking for spins and me, digging in on behalf of my audience trying to explain why, in my view the Polygram record he was promoting was not a good fit for our format. Sometimes those discussions were quite heated. But at the end of the day we’d do a beer or pizza, the disagreement behind us. He never took it personally. But at the same time he made sure that before I left Pizza Hut, he would shake my hand and try one more time for that ‘close,’ imploring me to give the record another listen. Bobby was a guy, if I were a band looking for bookings or with a song looking for airplay, I would want to have in my corner. Bar none, His passion was infectious, his personality unique. His dedication without equal. I have never seen anyone fight harder for a band, for a song, for an industry. Never. His legacy is, and will always be his unbridled passion and commitment to the industry. He lived it with every waking moment, and we can all take a lesson from that. He lived life large, and you could not ignore Bobby Gale. Of all the personalities in this industry – radio and music – I have never met, or known anyone quite like Bobby. He was one of a kind. When we leave this earth, we want to leave behind something that says we were here. Bobby Gale did, in spades. He was the genuine article – funny, dedicated, and absolutely unique. His loss, in such a sudden and horrific fashion, is tragic. And yet, he was driving home from a concert. He went out doing what he loved. Rest in peace, sir. And rest assured, your life mattered. A legendary music man…. radio, records and everything else! Mucho style. Great voice. Big heart. I first met Bobby and his mom when he came to work at CHIQ in Winnipeg (mid-’70s). We stayed in touch over the years including several conversations in the past year. Bobby’s impressive array of accomplishments in the radio and music industries left an indelible mark on both. Very few individuals I have known could surpass his passion and dedication to the advancement of new and particularly alternative music. He was truly at the cutting edge. As JJ said, we have lost a great one. Christiane and I extend our deep sympathies to his family, friends and colleagues. Jane and I are writing this short letter that will not be seen or read by yourself but felt it was important that it be specific to you. We wanted to say to you – again – how much we enjoyed your company last January. The weekend we spent together at our home catching up on personal events, discussing music – as always – various artists, how deplorable politics have become and always coming back to music over wine and fabulous food was wonderful. I felt a little bad – well after Jane had bed down – having to say to you, at 2:45 in the morning, “hey man, I’m going to bed” although the conversation and laughs where still fluid, as much as the wine we were enjoying. Oh yes, thank you for introducing us to the red you brought, it has become a staple for us. We were so pleased that you stayed well into the afternoon the next day continuing our conversations on how the music industry has change and how the artists, as they do within most genres, seem to be disregarded with the importance of a reasonable financial compensation for their lasting cultural contribution. Your insights and perspective on this, as always, was very telling. You have always had a deep respect for the “the makers.” I also wanted to mention how much Jane and I enjoyed how loving you spoke of your mother and how much we had enjoyed her and Roy’s company here so many years earlier. You seemed so surprised that we had kept that memory so intact. I have to also say we valued how respectful you spoke of your ex, and wished her continued happiness. We covered a lot of ground that weekend. Oh yes, we very much appreciate the disks you burnt for us of the music and new artists you are most excited about now…always back to music…We are thrilled with what we are hearing and truly amazed at your ability to discover new and innovative artists and music. Anyway, thank you Bobby for the wonderful times, the conversation and the friendship we have had over the years. Love ya!……….are thoughts are with you. all of his friends and family too. I didn’t know of him, but reading all of the comments and the stories about him, he was a very well respected person and very valuable in the music industry in Canada. May he rest in peace. 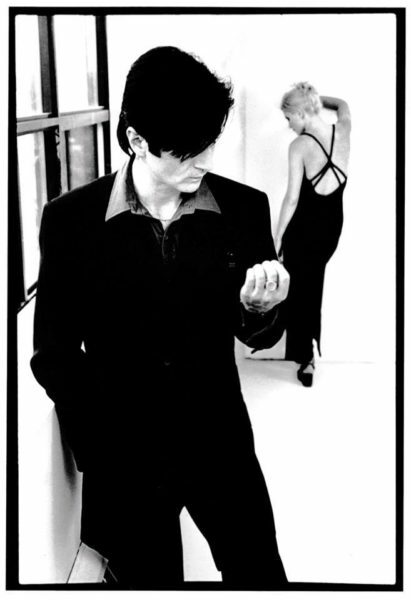 Sometimes Bobby was Bryan Ferry. More importantly – Bobby is always Bobby Gale. Some wonderful tributes here to Bobby. Yes, he was unique and always upbeat and enthusiastic about his current projects. No one worked harder to promote for radio airplay for the artists on his roster.